During 2 sunny days in early April, the Nordic Client Day event took place at Skridskopaviljongen, Skeppsholmen, in the middle of bustling Stockholm. Early in the event it became clear that challenges, strategy and opportunities for Digital Transformation would be the focus. 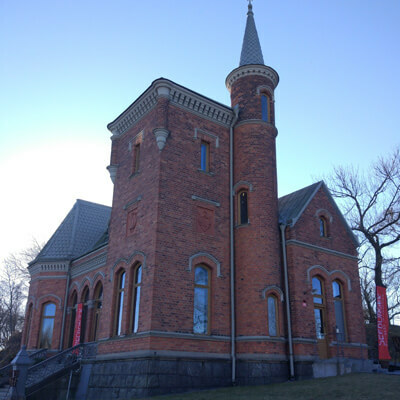 SEEBURGER’s key Nordic customers participated with delegates from Kongsberg Automotive, Axfood, CGI, and Nissens among others made the event a real success with an active and enthusiastic engagement. The 2017 Nordic Client Day kicked off with a very interesting presentation by Hans Werner, CEO Radar Ecosystem, about trends and challenges for business IT in the Nordics with digitalization as the key trend. Hans also highlighted two areas which will be critical in the digitalization process; security and integration, and that without these two areas in control any digitalization initiatives are likely to fail. This was a good start to the event! Following Radar’s presentation, co-CEO Michael Kleeberg gave a business update of SEEBURGER and how SEEBURGER can be the “Engine for your digital transformation”. During the event there were live demo stations available, where the customer could see the SEEBURGER solutions in action, meet our Solution Experts, and have the opportunity to ask questions. SEEBURGER BIS Information Server – an extended solution with advanced business and technical functionality to track and monitor your systems and applications. 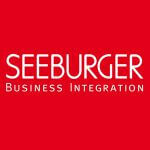 SEEBURGER BIS API solution, including API integration and management. Day two started with a presentation from our partner HiQ, who highlighted the importance of having a balance of technology, business and people in order to succeed with digital transformation projects. It was really good to hear and see how HiQ emphasized on the critical role people play in the digital transformation process. The two day event we also included customer presentations, covering challenges and future plans of business integration. SEEBURGER presented an update about the global Cloud Services offerings, available in a hybrid set-up and fully in the cloud, and a detailed update of the SEEBURGER Business Integration Suite, including the new Integration platform functionalities. Overall, it was a very successful customer event with a plethora of creative discussions, which have triggered new business initiatives for all participants. A newsletter covering the event will be emailed to you in the near future.